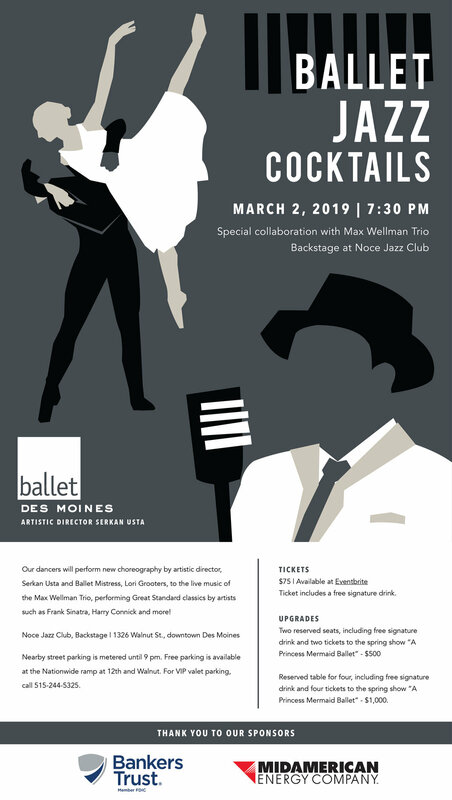 Ballet Des Moines is proud to present Ballet Jazz Cocktails at Noce, March 2, 2019. See below for details. Tickets can be purchased here.